Just over a week ago, Mortech took another big step towards providing our customers with the best tools to streamline and automate their mortgage lending processes.. How did we do it? By integrating with Ellie Mae’s Encompass. With this function, our users can not only access Marksman pricing from within Encompass, but can also send Encompass updates directly to Mortech, creating a streamlined secondary desk that’s accessible within either system. Through the use of our advanced pricing integration, we allow our customers to streamline their lock process with Mortech’s secondary desk tools. The integration offers the most complete pricing functionality, using bi-directional data transfer to seamlessly move data between Marksman and Encompass. This provides instant access to Marksman “buy side” and “sell side” pricing and up to 11 granular levels of loan specific rate, price, profit, and adjustment information. Lenders also benefit from a unified lock process through Mortech’s lock desk and secondary tools available within Encompass, including historical pricing information for any changes in circumstance, worst case pricing, lock notifications, and change requests. Additionally, Marksman users can access Encompass as well - giving them the ability to select products they want to price, as well as the ability to modify loan criteria that will be sent back to Encompass upon export. By combining Encompass and Marksman into a single secondary desk, secondary users will have access to the best possible pricing and functionality available. 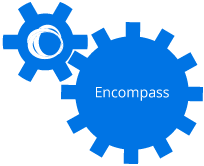 To find out more about our Ellie Mae Encompass Integration, click here. Or to schedule a free, consultative demo for Marksman, click here.